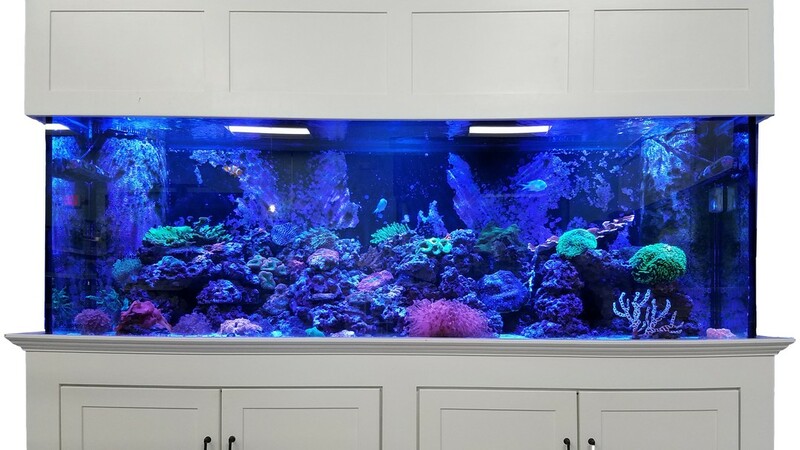 Do you want to know the secret to having crystal clear aquarium water so when your friends and neighbors stop by, they say “WOW! How is your tank so clear?” One of the secrets we use is a polishing pad; the second secret I will share with you at the end of this video. 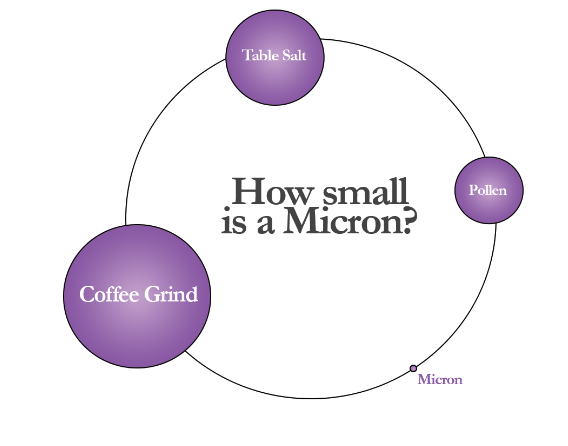 What a polishing pad does is it takes out very small particles in your water very fine particles in the micron range we will talk about that in just a few moments. Now this can be used for a filter type system if you have that which we will talk about in the video. This exact same type of material is also available in filter socks; I don’t want to go into a lot of detail about filter socks, but these are often found in restaurants and hotels where reef and saltwater tanks must have super clear water. 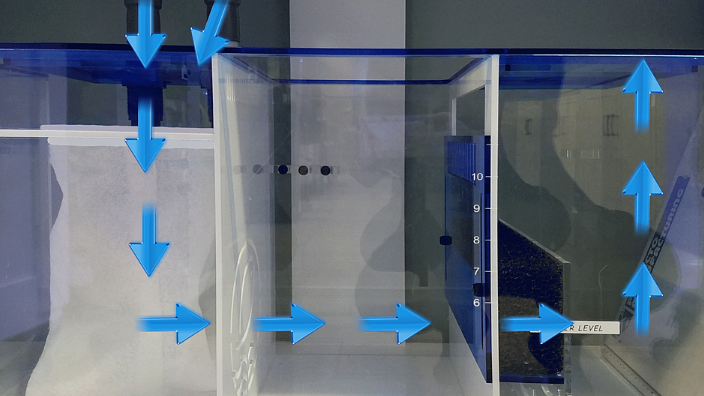 Filter socks are positioned in a filter below the aquarium called a sump. Water from the aquarium flows through these filter socks. Specifically, dirty water dumps through the socks, flows into the sump and into the reservoir, then is pumped back to the aquarium. Debris from the aquarium water is trapped in these filter socks. Again, these are very fine filter socks they can clog up fairly quickly. This is the material that we are using in sump filtration and now you can use the exact same material in your home filter tank. Polishing Pads work in hang on the back filters, canister filters, and they can even be used in wet/dry filters. One challenge with filter socks is that they can clog up quickly unless you are using a pre-filter. 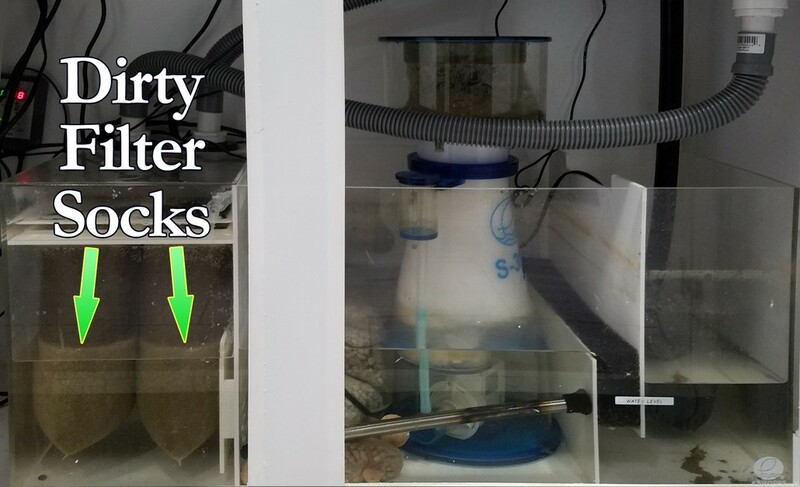 So, as the water comes from your tank, sometimes you might place a sponge in the socks, but if you don’t, dirty water will flow directly into the filter socks and they clog up quickly. The same is true of Polishing Pads, these are best used with some sort of pre-filter. 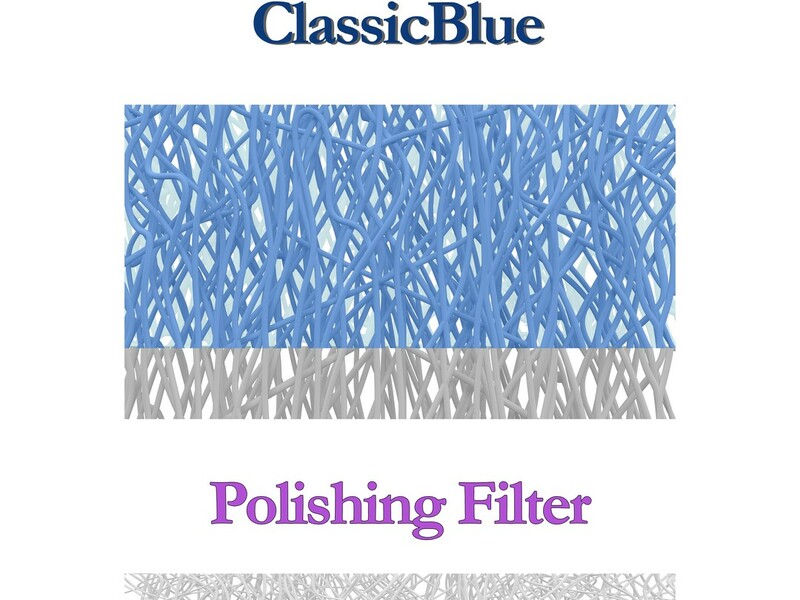 Our Classic Blue is a very open weave filter pad; you can see the fibers are open and this pad traps large to medium size and sometimes small particles. We stack the Classic Blue on top of the polishing pad so that water flows through the top of this pad first trapping large, medium and small particles before flowing into the Polishing Pad. The somewhat clean water then flows through the polishing pad which traps fine particles so that your tank looks crystal clear. Another option we offer is our Filter First Premium dual density pad. The thing about this pad is that it has a very open fiber top and a very tight network down below; not as tight as the Polishing Pad, but very similar. The loose part of our pad traps large to medium particles, the lower pad traps smaller particles, and then our polishing pad traps very fine particles so as the water flows through there it’s going to trap all those guys so clear water comes out the other side. Polishing Pads are best used on the bottom layer of filter pads so that instead of having to change them really often as with filter socks in a salt water aquarium or a sump type aquarium, they can last longer because they won't be quickly clogged with large particles. Polishing Pads are available in different micron ratings. 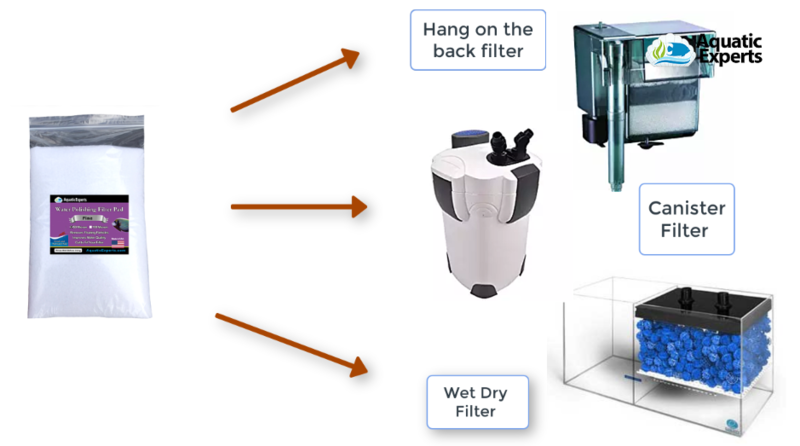 We have filter pads that will capture particles as small as 100 microns and some that will capture particles as small as 50 microns. To be clear, 50 microns is actually much smaller than 100 microns. Because of this, whenever I go to an established aquarium I start off using a 100 micron Polishing Pad. It is interesting to note that the human eye can see particles as small as about 50 or 60 microns, like particles of dust floating in the air. People with super eyesight might be able to see forty micron particles. To recap, Polishing Pads are best used in conjunction with some other type of filter pad to pre-filter the water, as a final filter to remove the small stuff. So as not to be forced to change the pad too often, begin with the 100 micron size and maybe later switch over and go to a 50 micron. These pads are easy to cut and, as mentioned, can work in all different types of filters. If you want your used Polishing Pads super clean then you will likely want to put them in the washing machine with bleach to wash the organic material out so it will look like new again. We give exact steps to wash the pads on our website. Now the cool part about our Polishing Pads are that they are huge: two feet by three feet rectangular pads. Because this material is so thin you can easily cut it with scissors to any size you desire. It can be a big pad or a small pad. Generally, if I'm using small pads I will throw them away and cut new ones. However, if you want to rinse them and use them again you are welcome to do that. As I mentioned earlier, this filter pad is what you need to polish your water. Say your water is clear, but you are an extremist and sit up at night worrying about those finer, microscopic particles that are less than 50 microns. “What do I need to do to get rid of them?” Well, now we offer KloudAway. This particular version of water clarifier is for fresh water use. KloudAway brings particles together, so fine particles, and even macroscopic particles you cannot see, clump together into larger particles which are easily trapped by filter material. If the particles are really large they may fall to the gravel. Do I recommend this to everybody? No, but if those who want more polishing power this is what you need for ultra, super clear, super clean water. For most people this polishing pad along with a series of other pads of mechanical filter media is all you need to keep your tank super clear. Side note: Polishing Pads, even with KloudAway, will not clear live free floating algae from water. While they trap it, they do not prevent it from multiplying.